Friday, Saturday & Sunday 10am – 5pm approx. your Animal Spirit Guide. No Guide? Contact Debbie Overholt below for more information on the next upcoming Animal Spirit Guide Playshop. 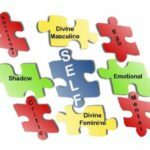 What are ‘Aspects of Self’? This entry was posted in archetypes, Aspects of Self, healing, Self, self empowerment, Shamanic Workshops & Playshops, transformation on January 13, 2016 by Debbie. Aspects of the Self – Who’s Driving Your Bus Today? How many times have we done something totally marvelous, or dumb, rude, mean or off the wall and then looked back and said “Did I REALLY do that? It’s not like me to behave or do . . . ” We treat these actions like someone else is responsible for them, and to be truthful, there is, but that “someone else” a part of you, a personality aspects or archetype. But in these cases, just one aspect is acting (or acting out) in a manor that is not representative of you as a whole. This entry was posted in archetypes, balance, Carolyn Myss, Jung, self empowerment, shamanic journeys, shamanism on July 3, 2011 by Debbie.